In a declaration of its strength, Iran’s navy said on Tuesday that it has dispatched its first “fleet of warships” to the Atlantic Ocean. The fleet consists of a Khark logistic and helicopter-carrier warship and a Sabalan destroyer. They expect to cover 25,000 nautical kilometers in the next three months. Navy Commander Rear Admiral Habibollah Sayyari and his deputy Rear Admiral Seyed Mahmoud Moussavi led the ceremony for the departure of the two vessels. 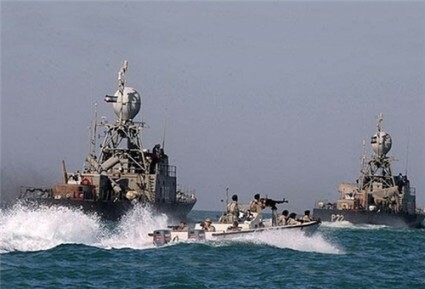 Fars News repported “Admiral Moussavi said “Iran has a message of peace and friendship for the world states and seeks to show its defensive power to the world by sending its fleets of warships to the international waters”. Iran’s oil exports rose in January for the third consecutive month, according to sources tracking tanker movements. The increase in shipments is around 50,000 barrels per day (bpd), according to one tracker company, bringing Iranian exports to around 1.2 million bpd. The rise, mainly from India, does not appear to be a direct consequence of the easing of sanctions under the interim nuclear deal, whose implementation began on Monday. However, Indian companies appear to be expecting an easing of restrictions on insurance and financial transactions, which have hampered purchases from Iran for two years. More than half of Iran’s 290 MPs have called on Speaker of Parliament Ali Larijani to provide a text of November’s interim nuclear deal with the 5_1 Powers. The 150 MPs say they should have the text, as all members of the US Congress have been provided with details. Soon after the November deal, the Iranian Foreign Minister posted a claimed memorandum of the Joint Plan of Agreement. It is unclear why MPs do not accept this as an official text. Oil Minister Bijan Namdar Zanganeh has met Turkey’s Prime Minister Recep Tayyip Erdogan. No details were released on Monday’s discussion beyond “ways to boost bilateral trade”. Turkey is a leading trade and energy partner of Tehran. However, Ankara’s imports of Iranian natural gas have been hindered by sanctions on financial transactions, including a ban on transfer of Turkish gold to Iran. Trade between the two countries reached $22 billion in 2012, and Iran has set a long-term target of $100 billion.